When your car breaks down, it can leave you feeling powerless, especially if you're left stranded by the side of the road. Things get even worse in winter months - cold weather and freezing temperatures can be a recipe for disaster. 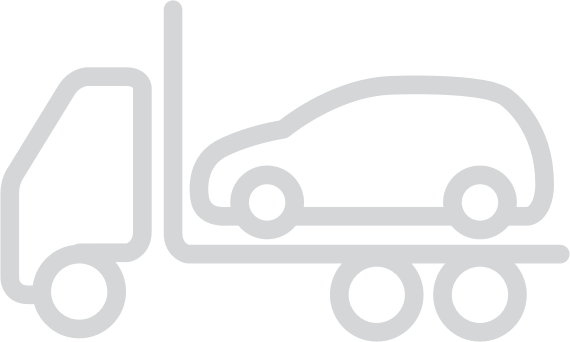 We want to help you get back on your way as quickly as possible when your car breaks down, with a quick, easy car breakdown policy you can select and buy online for peace of mind. Labour will be included free up to an hour, but parts will have to be paid for. If we can't fix your vehicle we'll recover it, either to a garage or your home. We can also cover your car if it won't start outside your home - so if you find on trying to leave for work in the morning your battery has gone flat overnight, or if you have a puncture. For this cover all you have to do is select either roadside rescue and home start or European cover and add personal cover to your policy to give you the level of cover you require. For an additional premium, personal cover allows a named person, who lives at the address of the policyholder, to be covered for breakdown regardless of the vehicle they are in at the time. Simply select either UK cover or European cover and add in your personal details. Who provides Arnold Clark Insurance Services breakdown cover? Call Assist Ltd, which is underwritten by DAS Legal Expenses Insurance Company Limited provides breakdown cover for Arnold Clark Insurance. If your vehicle has broken down, call 0800 783 8365 You will need to give the operator your name, address, location and details of your vehicle including your vehicle registration. If you are a vehicle management or car and van rental customer please call 0141 332 2622 for assistance. What happens if my vehicle breaks down on the roadside? In the event of a breakdown, please call our 24-hour control centre to request assistance, the telephone number is 0800 783 8365 Please have ready: a return telephone number, your vehicle registration and your precise location (or as accurate a location as you can make out). When assistance arrives, your breakdown expert will do their best to get you up and running as soon as possible - you will get one hour of labour free at the roadside. You are responsible for paying for any parts that are requisite to the repair, and if we have to take your car to a garage to repair it, you'll be responsible for parts and labour. Will my spouse/partner/children be covered if my vehicle breaks down while they are driving it? Yes, the policy will cover the car and anyone legally allowed to drive your car with your permission. Will you pay toll or ferry fees? We do pay ferry and toll fees, but only if they are within the confines of the UK and Northern Ireland. If your vehicle breaks down on a toll or private road in Europe, you should first contact the local authorities by using a phone situated along the route. Once your vehicle has been recovered from the toll road, we can help if you contact us on 0044 1206 785863. Do I need to take any extra documents if I travel abroad? You do. When you travel beyond the confines of the UK you must carry your V5C registration document and driving licence - local regulations and/or customs may require you to provide copies of these documents. If you don't have these with you, you may incur additional costs if they are not to hand. Can you repair my vehicle at the roadside? Once they have assessed the condition of your vehicle, our vehicle recovery operator will make an informed decision on whether they believe the vehicle can be repaired or whether it needs recovery. If they feel the vehicle can be repaired they will despatch a service van to perform a roadside repair. In 2014, over 75% of vehicles were repaired at the roadside (this figure does not include major faults).